The State Dining Room in the British Prime Minister's office at 10 Downing Street oozes tradition. It seems like a place where convention, habit and ritual would feel most at home. But this was the location for a recent blast of institutional iconoclasm. Dominating the room is a huge 1758 portrait of King George II. The painter was John Shackleton, who, four years earlier, had helped establish a multi-disciplinary institution now known as the Royal Society of Arts. The RSA's former and current members from 70 countries embrace Nelson Mandela, Stephen Hawking, Benjamin Franklin, Karl Marx and Charles Dickens. It was in an RSA conference in 2008 that Al Gore updated An Inconvenient Truth. The RSA’s mission is to embolden enterprise, enlarge science, refine art, improve manufacturers and extend commerce. The RSA’s purpose is to build momentum around new ideas and create innovative opportunities by intersecting thought leaders from many different disciplines. In November 2012, on the direct orders of the Prime Minister’s office, the top civil servants were told to gather, auspiciously in the State Dining Room, for an all-day training session with the RSA. The goal was to re-wire them into thinking and acting beyond their habitual administrative instincts and methods 1. The officials were urged to apply art school radicalism in how they implement government policies. The RSA brought in design service experts to explain how public sector officials could increase the value of their output by adopting a user, rather than a service provider, orientation. They chose a few current policies and showed why officials should move away from the traditional top-down method of implementing policy and switch to a supply-chain, outcome-orientated, collaborative approach. In short, they were being taught how to operate at the intersection of politics, business and art, and to break from conventional habits that define their comfort zone. All this happened under the gaze of a portrait by an artist who had helped inculcate that attitude of mind through the RSA 260 years earlier. Even in the 18th Century, the idea of combining different disciplines and spheres to make radical change happen was not new. This is exactly what marked out the Renaissance. Science, politics, art and literature all intersected between the 14th to 17th centuries, giving birth to polymaths like da Vinci, Galileo, Dürer and Michelangelo. The Renaissance was no accident. Among those bankrolling, orchestrating, inspiring and driving the Renaissance was a Tuscan dynasty, the House of Medici. The influence of the Medici family for over 300 years was dramatic, eroding the silos separating cultures, disciplines and industries, and bringing bursts of extraordinary innovation and genius. Perhaps mediation can find a source of inspiration and drive to propel it into the future? Ten years ago, Harvard Business School published a book called The Medici Effect by a young Swedish-American entrepreneur and Harvard MBA alumnus, Frans Johansson. It is now a best seller in 18 languages. Drawing inspiration from the Medici dynasty, the book shows how being positioned at the intersection of disciplines and practices creates an explosion of ideas and new solutions. Steve Jobs frequently exclaimed that Apple progressed from a garage in Cupertino, California to the world's most valuable company by occupying space at the intersections of art, technology, entertainment and business and of computers and humanism. Mark Zuckerberg has said that Facebook's success is a result of being at the intersection of technology, society and public policy. As the Danish mediator Tina Monberg has pointed out in The Butterfly Effect 2, mediation sits at many intersections: conflict and consensus; litigation and negotiation; problem and solution; public policy and private process, art and science, servant leadership and personal leadership, and others. Mediation is both a practice and a theory, cutting across negotiation and justice, practicality and academia, needs and demands. Good mediators have an understanding of neuroscience, cultures and processes, as well as consequences at human, social, ethical and legal levels. Mediation is a classic example of The Medici Effect in action, and that is precisely the secret of its success. Mediators constantly experience The Medici Effect of their work, often subconsciously, as do those who mediate their problems. But of course not everyone moves beyond familiar, linear attitudes to think of mediation this way and what doors that could open. Process is a set of railroad tracks on which rides a defined sequence of steps. While this can be helpful to ensure focus, process can perpetuate an unhealthy comfort in habitual, tried & true ways of doing things at the expense of better options. Frank E. A. Sander, professor emeritus of Harvard Law School, triggered the modern mediation movement in his seminal paper The Varieties of Dispute Processing at the Pound Conference in St Paul, Minnesota in April 1976. His paper recognised that substantial impediments existed to a widespread uptake of mediation, especially what he called the deadening drag of status quoism. Professor Sander was referring to the reluctance of both users and practitioners who are so accustomed to doing things using one-dimensional processes, like litigation, that they fail to recognise, embrace and take advantage of The Medici Effect. To appreciate The Medici Effect of Mediation may require a nudge, if not a push. The British Prime Minister had to order the UK’s top civil servants to come to the State Dining Room at Number 10 Downing Street to understand The Medici Effect of policy implementation. Would they have opted for this uncomfortable experience under their own steam, or would they most likely have stayed with the status quo? So what does it take to pull more users away from the deadening drag of familiar adversarial process and make the journey to the intersection of conflict and consensus from which more solution options, such as mediation, are very likely to arise? People are supposedly Left-Brain or Right-Brain dominant. The Left-Brain values evidence, definitions, analysis, winning and process, while the Right Brain emphasises intuition, control, risk taking, experimentation and subjectivity. While experts point out that this is over-simplified neuroscience, it does provide a useful metaphor to enable us to focus on the elements we need to employ when making critical decisions. The Medici Effect would suggest that the point of greatest value is not the Left or Right Brain but the corpus callosum at which the two intersect to create optimal conditions favouring, in Johanssen's words, the greatest explosion of ideas. Law is largely a Left-Brain discipline so lawyers, like managers, tend to be Left Brain dominant. But as Dan Pink observed in A Whole New Mind, leaders need to be Right-Brain dominant. Let's first address the needs of Left-Brain dominant lawyers and managers and see what evidence exists that The Medici Effect can produce more valuable professionals and why mediation should be taken seriously for achieving early outcomes. Curiously, hard data on the use and value of mediation is in desperately short supply. In 1997, Professors David Lipsky and Ronald Seeber at Cornell surveyed General Counsel and Chief Litigators of 300 Fortune 1,000 companies about their use of mediation and arbitration (ADR). The survey covered patterns of use of ADR, reasons why companies used ADR, their conflict resolution policies, the existence of conflict management systems and perceived barriers to ADR. Cornell wrote up the results in a 1998 paper 3 showing there were two main motivations for using ADR - economic and process control. The economic reasons for using mediation were savings in cost and time. Under process control, typical incentives for preferring mediation were the parties' desire to control their own destinies, that mediation allows them to resolve disputes themselves, a more satisfactory process and higher quality settlements. In 2011 Professor Thomas J. Stipanowich at the Straus Institute at Pepperdine University, together with Cornell and CPR Institute, conducted a follow-on survey of Fortune 1,000 companies 4 with a 37.4% response, half of them General Counsel. A data comparison of the two surveys, almost 15 years apart, enables trends to be identified. The Straus 2011 survey also surfaced emerging policies and practices now in use by major US companies and enabled researchers to understand the factors behind the trends. in-house counsel consciously want to control their destiny and realise that tried and true processes do not offer them sufficient control over outcomes. The survey has therefore surfaced a serious paradox. In-house counsel, tending to be Left-Brained by nature, stick to familiar adversarial processes, but increasingly want control over outcomes, which legal action cannot offer. They seem to chase the impossible. It seems that in-house counsel have not yet focused on the value of being at the intersection of litigation and negotiation, or are unsure quite how to break the circle. One dispute-wise company is Atlanta-based Georgia-Pacific, a manufacturer of tissue, pulp, paper, packaging and building products. G-P is a division of Koch Industries, the second largest privately-held company in the United States. It therefore does not have a p/e ratio. If Koch were a public company, it would rank in the Fortune 1,000 top 20. G-P took the trouble to quantify the litigation expenses it avoided by applying its conflict management system geared to early case evaluation and pursuit of early settlement options over a 10-year period up to 2006 6. Excluded from their calculations were hard-to-quantify savings like risk reduction and internal management and staff time. The results of this single user-generated data are quite dramatic. G-P made no secret of the fact that they will fully litigate if necessary, and will not settle on unacceptable terms. They are certainly not considered as soft on opponents. But the company does have a fine reputation as a preferred partner to be with, one of the AAA survey's key attributes of a dispute-wise company. Lawyers find mediation hard to define. Mediation is not hidebound by familiar structural or process rules. Lawyers are trained to analyse; they need definitions and crystal clear meanings. So what exactly is mediation? Part of the reason for user confusion about mediation is that every provider defines it differently. The supply-side of the market is so fragmented that there is no commonly-accepted definition. Many providers end up describing the form of mediation that they personally favour or practice. Most definitions assume that mediation is an alternative dispute resolution process, a branch or sub-set of traditional process-driven dispute resolution like litigation or arbitration. But that can't be right. Mediation is more of a social process than a legal one. If it were a branch of law, mediators specializing in deal-making, like helping future spouses to finalise a pre-nuptial agreement, could not be mediating. Mediation is at the intersection of consensus and conflict and a branch of negotiation, not of litigation or law. 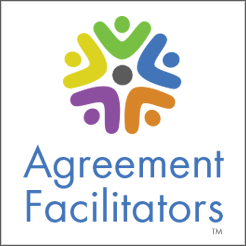 A simple 7-word definition of mediation is: Negotiation facilitated by a trusted neutral person. Left-Brainers also need to analyse. Early Case Assessment (ECA) is a vital risk management precaution as well as a sensible cost containment exercise. There are now electronic ECA tools on the market, but many result in a snapshot analysis and are not strategic. Most do not raise questions and issues that drive the user to objectively assess the other side’s case, to focus on all the potential dispute resolution options and how to approach each, or with what consequences. They also tend to be restricted to measurable factors, despite Einstein’s famous Left-Brain/Right-Brain warning that many of the things you can count, don’t count, while many of the things you can’t count, really count. However, there are strategically-orientated case evaluation tools in existence, and disputants should use them to stay on top of fast-changing developments. Olé is one of the latest tools 7. It was developed by a small number of in-house litigation and arbitration counsel for their own use, but the GE Foundation provided funding in 2012 to make this tool an online experience that is available free of cost or any need to register personal information or other identifying details. It can be completed using code words for the parties and there is a range of data cryptographic storage options, including no storage at all. It includes a case strategy appraisal, financial loss assessment, a SWOT 8 analysis, a capture of BATNAs, WATNAs and PATNAs 9, a tool for determining way forward options and a future strategy determination. Olé is essentially an online medium for enabling the Left-Brain to engage more of the Right-Brain. It is available to all disputants, their advisers, mediators and providers - and anyone else - from the First Quarter of 2013. Few in-house counsel come to their jobs naturally favouring negotiation over litigation and arbitration, even when confronted with overwhelming odds. They have been trained and assessed in the legal rules of evidence and procedure and how to argue a case in court, but they have mostly not been trained or assessed in negotiation. Business people tend to claim negotiation as their responsibility. Lawyers do get involved in negotiations, usually with other lawyers, but it is often a positional advocacy fencing exercise, a courtroom drama in private. Ironically, the same is true for most business people. Business schools mainly focus on traditional managerial skills like financial management, business strategy, economics, marketing, manufacturing and supply chain operations, statistics and business analysis. The core courses of most MBA programs are invariably drawn from these areas. Only rarely do core courses feature negotiation, which is often regarded as a “soft” skill. Most MBA graduates emerged from business school without having been trained or assessed in negotiation skills. the competencies perceived by managers as most critical in the real world are much more Right-Brained skills, such as managing decision-making processes, human capital, strategy and innovation - the very “soft” skill abilities least covered in required core MBA curricula. Decision-making, according to the Kellstadt studies, was a core course in only 13% of MBA programs. It’s the same story with lawyers. Outcomes Based Education (OBE) has gained momentum around the world in most areas of learning, but it has had a slower uptake in Law. OBE assesses students not just on their technical knowledge of inputs like textbooks and rules, but on whether they are able to achieve whatever outcome is required. In other words, to control their destiny rather than just to pursue it. Legal education has lagged behind accountancy and other professions in this regard. Fuelling a drive towards OBE in US legal education, two reports 12 in 2007 by the Carnegie Foundation for the Advancement of Teaching and by a team under Roy Stuckey, Professor of Law at the University of South Carolina, urged US law schools to broaden their range of lessons; integrate the teaching of knowledge, skills and values, and not treat them as separate subjects addressed in separate courses; and give greater attention to instruction in professionalism. They need to open access to intersections, not block them. The postgraduate Harvard Program on Negotiation was innovative, inspiring and unique when introduced in 1983 and since then other centers of learning, especially business and law schools, have gradually built on the wealth of knowledge, teaching and skills generated in the negotiation field. Others are now incorporating them into core curricula. Over the next few years, demand for these skills will increase considerably as businesses and professional firms seek to minimize costly post-qualification training, and as graduates strive to maximize their employability. Business and Law Schools will systematically incorporate mediation and negotiation skills into their standard mandatory curricula, driven by OBE. Adventure Learning 13 – getting these skills played out in real environments – will become common, and mediators will be enlisted to offer experience generation opportunities to students through assistantships. Many schools will be teaching basic dispute avoidance and resolution skills as part of regular curricula. Companies have long been focused on outcomes, but no more so than recently when risk avoidance, certainty and cost containment drive share values. International corporations are increasingly demonstrating how mediation and other principled negotiation courses for staff instill an outcome orientation and a more Right-Brained aptitude, leading to earlier results and risk avoidance. Companies will increasingly classify litigation as a project, to be managed systematically and proactively, and brought to early closure, like any other project, with lateral thinking expected. The next generation of in-house counsel and legal practitioners is reading books like Julie Macfarlane’s The New Lawyer and Richard Susskind's Tomorrow's Lawyers - An Introduction to Your Future. In-house counsel are becoming more wired to achieve outcomes, and less tolerant of perpetuating process. Mediation occupies an area on the spectrum that is a combination of Right-Brain and Left-Brain, but slightly more Right than Left. Right-Brain elements, including instincts, impressions, style, behaviour and trust, exert a great influence on a negotiated outcome. Left-Brain aspects, including rules and processes also play an important part. The intersection of the two is what generates the most favourable conditions for outcomes. It was precisely because most people in social science fields are predominantly Left-Brained that the RSA was commissioned to run that training course for government administrators in the Number 10 Downing Street State Dining Room. If corporate law departments organized similar training experiences, what new initiatives might result by moving to the intersections of conflict and consensus as well as justice and negotiation? Perhaps the most important thing an in-house counsel can do in conflict management is to establish or implement an effective conflict management system (CMS) geared to the specific conflict and risk profile experienced by the corporation. There is no shortage of guidance and examples for putting together a CMS. A well-functioning CMS can be astonishingly value-generative as it intersects Right-Brain and Left-Brain action 14. The Fortune 1,000 Survey conducted by Pepperdine University's Straus Institute in 2011 surfaced contradictory responses to the question: Does your company have a Conflict Management System? Of those surveyed, 67% responded affirmatively but only 46% said their own employees were covered by an alternative dispute resolution scheme, and only 38% said they had an office or function dedicated to managing their CMS. Pepperdine concludes that these results suggest that only about one third of major US companies have an integrated CMS. This may be explained by differing views on what a CMS actually entails, and confusion with a non-integrated conflict resolution program. A CMS is an integrated approach to preventing, managing and resolving conflict. In 2000, the Society of Professionals in Dispute Resolution (now part of ACR - Association for Conflict Resolution) published Guidelines for the Design of Integrated Conflict Management Systems within Organizations 15 that set out characteristics of an integrated CMS. The guidelines were directed mainly at the kind of CMS designed to handle workplace conflicts, but most of the characteristics apply to any integrated CMS regardless of field of application. The three generally-applicable characteristics are that the CMS: (1) is geared not only to managing and resolving conflict but also to preventing it arising; (2) delivers multiple options for addressing conflict including problem-solving, interest-based approaches such as mediation and rights-based positional alternatives to obtain a determination such as litigation, arbitration and enforcement mechanisms; and (3) provides the necessary support, co-ordination and structures that link the multiple options and promote skills and competence in dealing with them. The Guidelines also emphasise oversight and control by all main stakeholders, a central co-ordinating point, early case assessment, monitoring and evaluation mechanisms, training, alignment with the organization's vision, mission, values and needs, the inclusion of staff performance management and evaluation systems, including incentives for outperforming on conflict management objectives, cost allocations and resources. An example of something that can be built into a CMS is a corporate policy on conflicts, which may or may not be made known to opponents. The policy could even be made specific to a particular area. It might say that in principle, the company will systematically offer to mediate all disputes above a certain value regardless of whether it is plaintiff or defendant and this can significantly help overcome any perception of weakness implied by offering to try and resolve without further litigation or arbitration. The adaptation options are endless. A well-planned CMS adds structure, depth and an inter-disciplinary approach to how an organization deals with conflict, enabling intersections to occur and develop a challenge culture in relation to conflict resolution. The State Dining Room at Number 10 Downing Street has a rib-vaulted Wren ceiling. The intersection of the ribs provides its beauty and functionally sustains the room's central illumination. That, of course, is a coincidence. Sir George Downing, the soldier and diplomat who created Downing Street on his own land and commissioned Sir Christopher Wren to build the houses that include Number 10, was one of the nine students in the very first graduating class of 1642 at Harvard College. That may be also be coincidental. But there is more. In 1647, Downing was appointed British Ambassador to The Hague, and became a mediator. Less of a coincidence, as many ambassadors are effectively mediators. In 1660, Downing used his mediation skills to help resolve the Dano-Swedish War, in which the Dutch were heavily involved, resulting in the Treaty of Copenhagen in 1660. Being a rare Englishman speaking fluent Dutch, Downing mediated again, this time in 1667 between the Dutch and the British, as he was trusted by both. He brokered a formal swap of colonial properties between these two nations. Under the settlement, called the Treaty of Breda, confirmed later in the Treaty of Westminster, the Dutch were formally granted sovereignty over the British South American territory, Surinam, which they had already captured, plus the tiny nutmeg island of Pulau Run in Indonesia's Moluccas archipelago. In return, the Dutch surrendered all claims relating to the British seizure of New Amsterdam at the southern tip of Manhattan Island, then re-named New York. It seems inevitable, looking back, that Manhattan would be designed based on a grid plan of intersecting streets, one of which, just south of Greenwich Village, would be named after Sir George. And equally inevitable that the public space at the intersection of Downing Street and Avenue of the Americas would be named after a former resident of 10 Downing Street, London - Sir Winston Churchill Park. The State Dining Room at Number 10; the mediation skills of Sir George Downing; training people to be at the confluence of politics, business and art; the Renaissance; Harvard; the deadening drag of status quoism; the corpus callosum at the intersection of the Left Brain and the Right Brain; the compelling survey evidence of the need to control one's own destiny; the connection between dispute-wisdom and significantly higher p/e values; the elements that must be designed into a functioning conflict management and control system. All these things criss-cross to create something that is far from being coincidental, something highly intersectional. especially… in a world of specialization. and even place ourselves in uncomfortable situations. 4 The survey results will be published in Living with ADR: Evolving Perceptions of and Experiences with Mediation, Arbitration and Conflict Management in Fortune 1,000 Companies by Thomas J. Stipanowich, J.Ryan Lamare and Robert Anderson. The details reported here are disclosed with the kind approval of Professor Stipanowich. 5 http://www.adr.org/aaa/ShowPDF?doc=ADRSTG_004327. A follow-up survey was conducted among French companies in 2011 with FIDAL, the results of which will be published on February 21, 2013. 6 Georgia-Pacific's ADR Program: A Critical Review after 10 years. Dispute Resolution Journal, May-July 2005 - updated to include 2006. 14 See: Designing Conflict Management Systems by Cathy Costantino & Christina Sickles Merchant 1995; Controlling Costs Conflict - How to Design a System for your Organization by Karl Slaikeu & Ralph Hasson 1998; and Handbook of Human Conflict Technology - How to Create Win-Win Business Success Without Destructive Conflicts by Tina Monberg 2007.